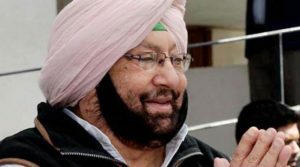 Setting tone for the functioning of the new government, the Council of Ministers in the newly elected government in Punjab, that met under the leadership of Capt Amarinder Singh, a string of austerity measures were announced. Also a decision was taken to grant 33 percent reservation to women in all government jobs including contractual appointments. A spokesperson of the CM said that it was decided to abolish the posts of District Transport Officers in the State and reassign and distribute the work of their offices to the Sub Divisional Magistrates/ SDO(c) for their respective territorial Jurisdiction. In a bid to change the prevelant VIP culture it was decided that red beacon light on all vehicles in Punjab, except emergency hospital /ambulance/ fire brigade vehicles, the vehicles of CM, the Chief Justice and Judges of Punjab and Haryana High Court, would be abolished. Foreign travel of all Ministers, MLAs and officials at state government expense would be banned for two years except in cases where it so mandated or provided under any bilateral arrangement or agreement, said the spokesperson. He added that reimbursement of Medical expenses including foreign medical bills of all MLAs, Ministers, ex-Ministers and the Chief Minister would henceforth be ensured through Medical /Health Insurance, minimizing the financial burden on Government. Also salary/allowances/reimbursements received by all MLAs would be updated every month on official website and would be made available to the public and all MLAs and MPs would declare their immoveable properties on 1st January every year and for the year 2017-18; they would do so by 1 July 2017. Foundation/ Inauguration stones would henceforth be laid only by the President of India, Vice-President of India, Speaker of Lok Sabha, Union Cabinet Ministers, Chief Minister, Speaker of Punjab Vidhan Sabha and the State Cabinet Ministers, he said. No State Banquets or Dinners would be held (at government expense) except in the honor of the President of India, Vice-President of India, the Prime Minister of India, Speaker of Lok Sabha, State Governors and the visiting foreign dignitaries, he added. 3.8 The District Administration would function as normal even on the visit of CM / Ministers. Any official required by the VIPs, would make himself available with the prior written permission of the appropriate authority, it was decided.